Tripura Congress president Pradyot Kishore Debburman said that a section of Tripura government officials were directly involved in giving a cakewalk to miscreants who conducted largescale rigging and violated law and order on poll day on April 11. 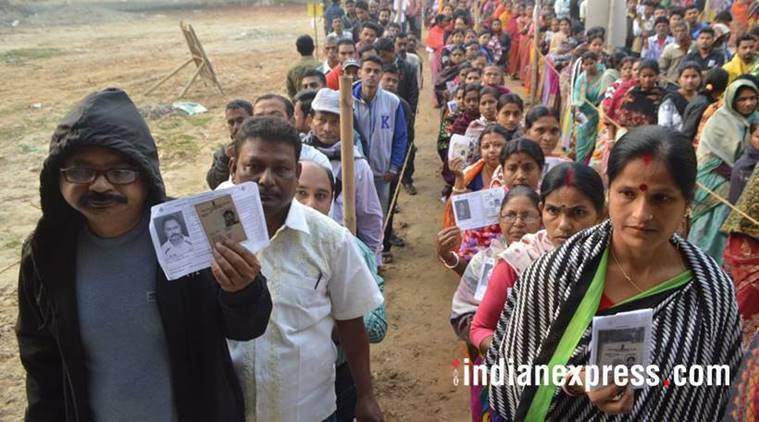 Meanwhile, a notification from the Election Commission of India said reports received from Tripura CEO and Special Police Observer indicated law and order situation prevailing in East Tripura Parliamentary constituency is “not conducive” to hold free and fair poll in the constituency on April 18. “The Election Commission, having considered the reports from the CEO, Special Police Observer and reports of the Returning Officer and also taking into account inputs received from various sources decided that the poll scheduled to be taken on 18th April, 2019 in 2-Tripura East (ST) Parliamentary constituency may be deferred that it shall be taken on 23rd April, 2019 by which time with the additional measures taken the Commission expects the law and order situation in the constituency to improve and become conducive for holding free and fair election”, the notification reads. Tripura Congress president Pradyot Kishore Debburman welcomed the Election Commission decision and said his party had previously complained with ECI on several accounts about alleged violence, rigging in the first phase of Lok Sabha elections in West Tripura seat on April 11. “Mass rigging was held at West Tripura Lok Sabha elections on April 11. Tripura Congress leaders along with All India Congress Committee (AICC) legal team complained with the Election Commission about it. The elections were not free and fair. Tripura Congress welcomes the ECI decision to defer the polling on security grounds,” Pradyot said. He also said that a section of Tripura government officials were directly involved in giving a cakewalk to miscreants who conducted largescale rigging and violated law and order on poll day on April 11. The Congress party earlier accused BJP supporters of holding extensive rigging, booth jamming and other illegal activities in the first phase of polls in the state. Tripura has got two Lok Sabha seats – West Tripura and East Tripura constituency. While the first seat went on polls on April 11, Congress and CPI (M) demanded re-polling in 460 odd polling stations where alleged poll rigging was held.